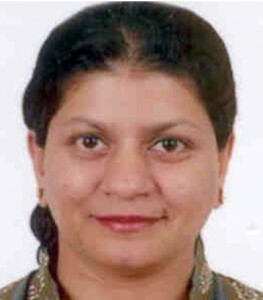 I am Dr. (Miss) Seema Anjenaya, presently working as Associate Professor of Preventive & Social Medicine (PSM), at Mahatma Gandhi Mission (MGM) Medical College & Hospital, Navi-Mumbai. I am also holding the post of Secretary of Medical Education and Technology (MET) Cell at MGM Medical College, Navi-Mumbai, and Faculty Member of Medical Education and Research for MGM University of Health Sciences (MGMUHS), Navi-Mumbai. I have actively participated in MET workshops, seminars, and training programmes including a workshop on research methodology. I am a Member of the Board of Studies for MGMUHS. I am involved in curriculum development: the curriculum, syllabus, internal assessment pattern, allotment of marks and pattern for PSM theory and practical exam, etc. 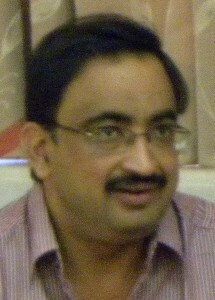 I am an ex-Executive Committee Member of the Mumbai Branch, Maharashtra Chapter of the Indian Association of PSM (IAPSM). I am Incharge of undergraduate teaching, Member of Timetable Committee, and Unit Head for the three-month Rotatory Internship training programme in PSM at MGM Medical College. I did my M.B.B.S. from MGM Medical College, Navi-Mumbai, and M.D. (PSM) from Seth G. S. Medical College & King Edward Memorial Hospital, Mumbai. I live with my parents at Kalyan. My hobbies include driving, cooking, net surfing, watching movies, and listening to music. I am Dr. Manish Bajpai, presently working as Associate Professor of Physiology at Chhatrapati Shahuji Maharaj Medical University (upgraded KGMC), Lucknow, Uttar Pradesh. I am a life member of the Association of Physiologists & Pharmacologists of India, Indian Medical Association, International Society of Heart Research, Indian Diabetes Association, Indian Pharmacological Society, and the Center for Medical Education and Technology at Grant Medical College. I did my M.B.B.S. from King George’s Medical College, Lucknow University and M.D. from the G.S.V.M. Medical College, Kanpur University. My hobbies are traveling, swimming, photography, and listening to music. 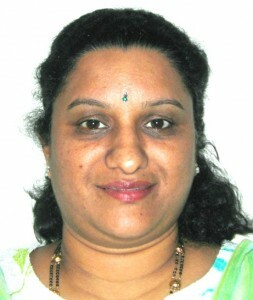 I am Dr. Rohini Bipin Bhadre. Born and brought up in the city of Mumbai, I did my schooling from St. Teresa’s convent high school Santa Cruz, Mumbai, and then went on do my graduation and postgraduation in the subject of biochemistry from Sophia College, Mumbai. I further completed my M.Phil. and Ph.D. in Biochemistry from Seth G.S.Medical College, Mumbai, and L.T.M. Medical College, Sion, Mumbai, respectively. I have presently registered for a Diploma in Nutrition and Health. I joined D.Y. 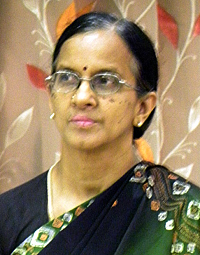 Patil Medical College as an Assistant Lecturer and then joined K.J. 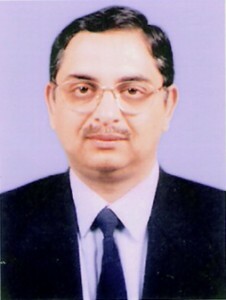 Somaiya Medical College (KJSMC) as a Lecturer in 1995. I then want to become an Associate Professor and then Professor. 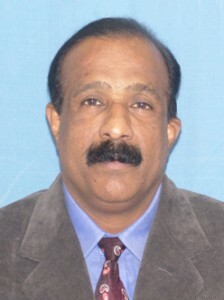 I am presently working as Professor & Head of the Department of Biochemistry at KJSMC. I have contributed to setting up Special Investigations Clinical in the department and the latest that we are trying to set up are tests for newborn screening. I am also an active member of the Medical Education and Technology (MET) Cell. I am married to an engineer and have a son. Apart from my busy schedule I find time to watch movies, read books (novels, fiction, and autobiographies), and solve Sudoku puzzles. 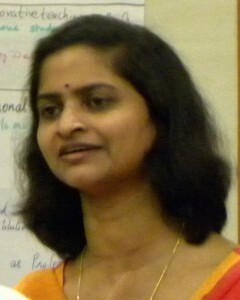 I am Dr. Bhagyalakshmi Gopalan from Bangalore, Karnataka. Currently I am working as Associate Professor of Anatomy at D.A. Pandu Memorial RV Dental College, Bangalore. I completed my M.B.B.S. from Government Medical College, Bellary, and M.S. (Anatomy) from Bangalore Government Medical College. I teach undergraduate and postgraduate dental students as well as physiotherapy and B.Sc. nursing students of the institutions under the same management. I am 46 yeas old, married, and have a son, Samvartha by name, who is about to complete his engineering degree from R. V. College of Engineering, Bangalore. 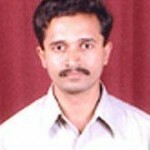 My husband Srinivasa is a software implementation engineer working for GI exports, Division Bangalore. We are all basically born and brought up in Bangalore. Research in medical education has always interested me and I want to improve and take the standards of teaching medical subjects to dental students to newer heights. I myself want to experience the international standards in medical education during this onsite programme and give back the best to my students, institution, and community. Apart from my profession and domestic responsibility, I like to devote whatever free time I get to music. I am a singer myself, trained in Carnatic classical music. I am very passionate about music and like all kinds of vocal and instrumental music. I am Karuna Datta. I am interested in GI physiology and sleep medicine. I run a GI motility lab and a sleep lab at my institute after my training at Harvard University in the United States. I also look after undergraduate training of first year students. Another interest of mine is to try to teach the teachers! I have been with the faculty of medical education at my college since 2003 after my training at Maulana Azad Medical College, New Delhi. I feel that there is a lot to understand in the field of medical education as so much has changed and hence feel that this fellowship would help me in many ways. I was born and completed my schooling at New Delhi where my parents worked. I left Delhi in 1990 for my undergraduation at Armed Forces Medical College (AFMC), after which I joined the services. I completed my postgraduation at AFMC, Pune, and joined here as faculty. My husband is an otorhinolarygologist and we are blessed with two sons. Whenever I manage some time for myself I love to do charcoal painting and take classical music classes. I am extremely fond of dramatics, both performing and watching. I am Nitin Gaikwad, presently working as an Assistant Professor in Pharmacology at Jawaharlal Nehru Medical College, Datta Meghe Institute of Medical Sciences University (DMIMSU), Sawangi (Meghe), Wardha. My special areas of interest are neuropharmacology and pharmacovigilance. At the departmental level, I am in charge of the Postgraduate Academic Program of the department. I am a member of the University Department of Medical Education, DMIMSU. Also, at university level, as a member, I share responsibilities of the Board of Studies and Editorial Board of the Journal of Datta Meghe Institute of Medical Sciences. I was born and completed my schooling and graduation at Nagpur, the city well known for oranges. My father is a retired Zonal Health Officer from Nagpur Municipal Corporation and my mother is a house wife. I did my M.B.B.S. from Government Medical College & Hospital, Nagpur, and completed my M.D. in Pharmacology from Seth G.S. Medical College and King Edward Memorial Hospital, Mumbai. After completing my postgraduation, I joined the present institute. My wife is an M.D. in Microbiology and presently working at Mahatma Gandhi Institute of Medical Sciences, Sevagram, Wardha. I have one lovely daughter. Her name is Swara. She is very naughty and talkative. As we both are working, we respect and understand each other’s professional responsibilities and also share domestic responsibilities. In leisure time, which I find rarely, I love listening to music and watching movies. 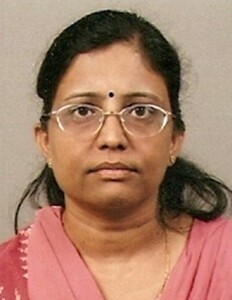 I am Surekha, presently working as Professor, Department of Pathology. I have a special interest in cytology and medical education, especially M.B.B.S. undergraduate teaching and learning methods. I am interested also in computer technology and multimedia, especially the role of animated figures in medical education. I completed my schooling at Dharwad (Karnataka) one of the cool and pleasant places in Karnataka and also famous for pedha, a sweet dish. I completed my B.Sc. degree in Dharwad and completed my M.B.B.S. and M.D. (Pathology) at Jawaharlal Nehru Medical College, Belgaum (Karnataka). I got married to an anaesthesiologist and am blessed with one lovely daughter and one naughty son. I have been in Bijapur for 16 years, which is one of the famous national heritage sites of India and has a miracle dome, Gol Gumbaz. I like to listen to old Hindi songs and watch movies. I like to make new friends. 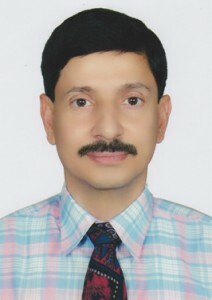 I am Dr. S. Josephphilipraj, working as Professor and Head of Department at Sikkim Manipal Institute of Medical Sciences. I did my undergraduation and postgraduation from St. John’s Medical College, Bangalore. I completed my urology postgraduation from Bangalore Medical College, Bangalore. I worked at Kasturba Medical College (KMC), Manipal, in the urology department from 1996–2006. Since 2006, I have been working in the above institution which is also attached to group. My special interests are paediatric urology, andrology and endourology, and medical education. I am academically active in urological circles at both regional and national levels. I am also a peer reviewer for indexed journals like the Journal of Medical Case Reports and the Indian Journal of Urology. I am an M.Ch. urology examiner. I am very much interested in sports activities. I had captained St. John’s Medical College in hockey, basketball, volleyball, football, cricket, and table tennis. Now I still play basketball, badminton, table tennis, and hockey on and off. My wife is a clinical anatomist at KMC, Manipal. I have two children, a son and a daughter. You can address me as Philip. I am Ganesh Kamath, presently working as Lecturer in Physiology at Melaka Manipal Medical College (Manipal Campus), Manipal. I have been working as a Lecturer for the past five years at MMMC, Manipal. I am also pursuing my Ph.D. in Chronic Pancreatitis at the Department of Gastroenterology, Kasturba Hospital, Manipal. I was born at Kolar Gold Fields (KGF), Karnataka and did my schooling at Dharmapuri, Tamil Nadu. My father is a doctor by profession (Dermatologist) at Dharmapuri. I did my Bachelor of Science in Microbiology at Vysya College, Salem and did my Master of Science in (Medical) Physiology at Kasturba Medical College, Manipal and joined as faculty at MMMC in the year 2004. I am single, and do not have any siblings. My mother is a home maker. I like to watch movies, travel, play table tennis, and read novels. I am a part of the Manipal Hemophilia Society and a literary club member at Manipal University. I am happy to be a part of FAIMER. I am Santosh, presently working as Lecturer Pediatrics at Seth G. S. Medical College (GSMC) & King Edward Memorial Hospital (KEMH), Mumbai. I have a special interest in pediatric history taking in children and I am a faculty of Pediatric ICU at our institute. I am also a part of the pediatric rheumatic clinic and various other services of the department. I was born and completed my schooling at a remote place in Nanded, the holy city at the bank of the Godavari where my father retired as a high school teacher. I have been in Mumbai for almost 17 years. I did my M.B.B.S. (1997) as well as M.D. (2002) and D.N.B. 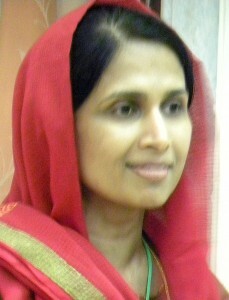 (2003) from GSMC and KEMH and joined the same as faculty subsequently. My wife is a pediatrician and I have a son. After taking care of my professional duties and those as a father, I run a free on-line website for health related advice in child health for parents. 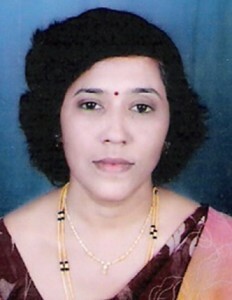 I am Dr. Pramila Menon, presently working as Lecturer of Genetics at Maharashtra University of Health Sciences (MUHS), Pune Regional Centre. I am a pediatrician. I have a special interest in genetics and I am Coordinator of Certificate Course in Reproductive Genetics, a weekend course run by MUHS, Pune Regional Centre. I am an adjunct faculty to the Certificate Course in Medical Genetics which was started last year. I am in charge of health professionals who have joined the Certificate Course in Reproductive Genetics of the Department. I am also actively involved in nursing, teaching mainly second year B.Sc. students for whom I cover topics on clinical genetics. 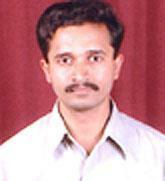 I was born in Palakkad, Kerala, and completed my schooling and college at Solapur, Maharahstra. My father was working with the Industrial Training Institute (ITI). I have been in Maharahstra for almost 27 years. I did my M.B.B.S. as well as M.D. from Dr. Vaishampayan Memorial Government Medical College, Solapur. 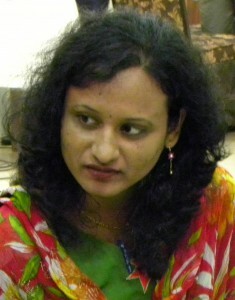 After marriage I was shifted to Kerala where I was doing private practice. I also had an opportunity to work in Coimbatore where I got training in neonatalogy. Here I was actively involved in D.N.B. teaching activities for seven years. I have two sons. My elder son is Rohith studying in XII Science group and presently undergoing Indian Institute of Technology (IIT) coaching. My younger one, Varun, is IX standard. I worked with Bharati Vidyapeeth Medical College, Pune, for over a year. I was posted in the neonatal ICU. I was actively involved in teaching undergraduates and postgraduates of pediatrics. I lost my mother in 2007 so I had to quit my job at Bharati Vidyapeeth, as it was far away from my house. I had to be close to my house due to my father’s illness. Meanwhile, MUHS, Nashik started its Regional Centre at Pune in May 2007. I got an appointment in the Genetics, Immunology, and Biochemistry Department of MUHS, Pune Regional Centre. I joined this department in October 2007. To get myself trained in genetics, I went to Sanjay Gandhi Postgraduate Institute of Medical Sciences, Lucknow, and did an Indian Council of Medical Research (ICMR) workshop on medical genetics and gentic counseling. Because of my keen interest in teaching, I also did my introductory workshop in medical education technology. Recently I could complete a contact session of an advanced workshop in medical education technology arranged by the Medical Education Technology Department of MUHS, Pune Regional Centre. I enjoyed the workshops. I always like to meet different people from different streams. I enjoy watching TV, reading story books, and listening to music. 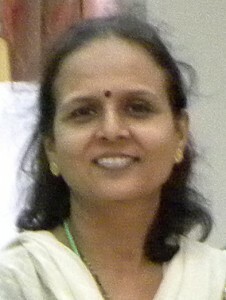 I am Chitra Pai, currently designated as Professor of Medical Microbiology at Mahatma Gandhi Mission (MGM) Medical College, Navi Mumbai. As Vice President of the Academic Council of the college and an advisory member of the Board of Studies of MGM University of Health Sciences, I am actively involved in framing the curriculum and designing the academic activities of undergraduate and postgraduate students in microbiology. I am also responsible for training M.B.B.S. (3rd, 4th, and 5th semester students), M.D. (Microbiology), and B.Sc. (Nursing) students in various aspects of microbiology. As a faculty member of the Department of Medical Education and Technology, I have been regularly involved in training the teaching staff of the medical college. As Head of the Microbiology Laboratory of MGM New Bombay Hospital Vashi, I am responsible for the overall activities including diagnostic and research work. I was born in the steel city of Jamshedpur, where my father was employed with Tata Iron & Steel Company (TISCO), and completed my schooling at Kudremukh in Karnataka. My medical education, both M.B.B.S. as well as M.D. was completed from Jawaharlal Nehru Medical College at Belgaum, Karnataka. After working at various medical colleges in Belgaum, Pokhara (Nepal), and Pondicherry in various capacities, I have now settled down at Navi Mumbai forthe last eight years. My husband is a mechanical engineer and Vice President of ESSAR Constructions. We have a daughter Shraddha, who is now in the 12th standard. Balancing the dual role of a professional and a mother, I try to squeeze in time to pursue my hobbies of writing poems, articles, and singing. 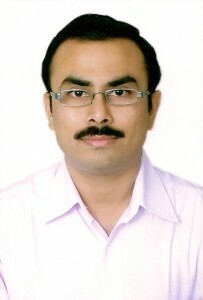 I am Dr. Sushil Pande, presently working as Assistant Professor of Dermatology at N.K.P. Salve Institute of Medical Sciences and Lata Mangeshkar Hospital. I have a special interest in academic dermatology, dermatopathology, and dermatologic research. I am a member of the MET cell of our institute and Secretary of the Staff Research Review Committee. My senior teachers and colleagues regard me as the most enthusiastic and dynamic member of this institute who has a passion for undergraduate/postgraduate teaching and research. I did a three-month postdoctoral fellowship in dermatology and dermatopathology at Dermatologikum, Hamburg, Germany, where I learned special skills in dermatopathology and clinical research. I was born and completed my schooling at Pusad, a town place in remote areas of Vidarbha, a land of cotton growers! I belong to lower middle-class background and my father who retired as Asst. Accountant in a private ginning and pressing factory, worked hard to support my medical education (M.B.B.S.) at Indira Gandhi Government Medical College, Nagpur. Joining Seth G.S. Medical College and King Edward Memorial (KEM) Hospital for my M.D. course was an important milestone and turning point in my academic life. I regard my teacher Dr. Uday Khopkar, HOD, Department of Dermatology at KEM as my mentor and source of inspiration and strength. I am keenly interested in sports and music. Whenever I get time from busy schedule, I try sincerely to pursue my interests. 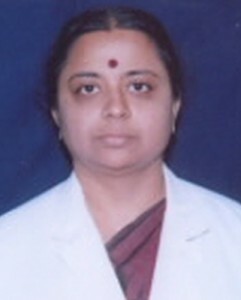 I am Sushma Wasnik Ramraje, presently working as Associate Professor of Pathology at Grant Medical College and Sir J. J. Group of Hospitals, Mumbai. I am a member of the Center for Medical Education and Technology at Grant Medical College. I was born and completed my schooling at Nagpur where both my parents were practicing medicine. I did my M.B.B.S. as well as M.D. from the Government Medical College, Nagpur, and then joined Grant Medical College as faculty. I have been in Mumbai now for almost 15 1/2 years. My husband is a chest physician and I have one son. After taking care of my professional duties and those of a mother, I don’t have much spare time left. My hobbies are yoga, photography, reading, and listening to music. I, Ipseeta Ray, have done my B.Sc. (Human Biology), M.Sc., and Ph.D. in Pharmacology from All India Institute of Medical Sciences, New Delhi. After completion of my postdoctorate, I joined the Department of Pharmacology, Mahatma Gandhi Mission Medical College. Initially, for me it was a sudden transition from a biomedical research scientist, to a medical teacher. However, today I am enjoying the blend of teaching and research in my career. Besides the regular teaching assignments, I am the Principal Investigator of the Research Project funded by the Department of Science and Technology, Government of India, and have publications in the area of medicinal plants and ocular and cardiovascular pharmacology. I am also the member of the Institutional Animal Ethics Committee and Research Secretariat. I had the unique opportunity to travel far and wide across India; as my father, a pediatrician, was serving the Paramilitary force (CRPF). I was born in Cuttack, Orissa, the land of Lord Jagannath, world-famous due to its distinct architecture and richness in style. Primarily my schooling and higher education is from North India. Mumbai was alien to me until I got married and shifted my base to this happening city. Today, I am blessed with a balanced family: my daughter Shristi and son Sanket. I believe that a training program like FAIMER will help me improve my teaching skills so that I can do justice to my present job and act as a catalyst for academic advancement of students in the field of medicine. I, Dr. Fouzia Shersad, a graduate of Trivandrum Medical College, am currently working in the Department of Pathology at Dubai Medical College. Additionally, I am the Director of the Institution Effectiveness Unit at Dubai Medical College. I am a senior assessor of the Dubai Quality Award, which is an initiative of the Dubai Government to recognize organizations committed to excellence. I have gained professional exposure in private hospitals in India, the Ministry of Health in the Sultanate of Oman, Loyola University at Chicago, and Calicut Medical College, Kerala. I have done a mini-fellowship in Instructional Technology at the University of South Florida and a Joint Masters in Health Professions Education at Maastricht and Suez Canal Universities. My interest in improving the quality of medical education has drawn me towards the field of education rather than clinical practice. I believe that for making medical education effective, sufficient emphasis has to be laid on improving the teaching ability of the educators. I have always wanted to join hands with teams with exposure to a variety of teaching systems to make dramatic improvement in the system. I realize that in order to improve the medical education system, we need to continually learn and reach out to the rest of the world. Meeting with medical educationists at a global level will help us formulate a system which will improve the mechanism by which we create competent health professionals. I hope we will develop a synergy which will bring about changes in medical education in such a way that we will be able to create doctors who have the knowledge, skills, and attitude with dedication to take care of the poor and needy in remote areas. My husband is an American Board certified internist (Wayne State University) and nephrologist (University of Chicago), currently practicing in Dubai. My daughter is now in the final year of her M.B.B.S. at Sri Ramachandra Medical College at Chennai. I also have two sons doing their schooling in Dubai. I have published articles on medical education and hope to do a Ph.D. in this field. Despite the hectic schedule demanded by my profession, I find time to pursue painting and reading. I hope I will be able to expand my knowledge by associating with like-minded people with the help of GSMC-FAIMER, which is committed to improving medical educators’ skills. I am Dr. Mangala Subramanian, Professor in the Community Medicine Department at Vydehi Institute of Medical Sciences and Research Centre in Bangalore. I graduated from Stanley Medical College, Madras, in 1981 and worked as a Medical Officer in the Malaysian Government Service from 1983-1986. Ever since I got married in December 1986, I have settled down in Bangalore. I did my postgraduation from M.S. Ramaiah Medical College in 1997 and from then on I have been in academia apart from carrying out community service and research. I am an ardent teacher and am happy that I have been selected for the FAIMER course. I am looking forward to improving my teaching skills and also meeting my contemporaries and peers to exchange views regarding teaching methods in other medical colleges. My area of interest is in preventive pediatrics especially of under-five children in the Rural Field Practice area of our Institution so that we can give them a good start in life. I love to read books and enjoy swimming. As for my family, my husband is a Professor in the Materials Engineering Department in the Indian Institute of Science, Bangalore. 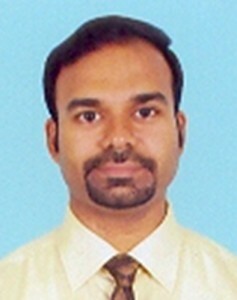 He is a keen researcher and has guided several M.Tech. and Ph.D. students. We are blessed with a daughter who has joined the M.B.B.S. course last year. My parents-in-law, brother-in-law, and his family are also staying with us and we are one happy joint family. 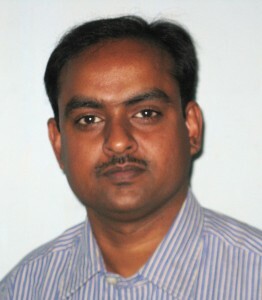 He is Assistant Professor of Community Health at Patan Academy of Health Sciences (PAHS), Nepal. He did his graduation in Chinese medicine from Beijing and postgraduate study in Public Health from Royal Tropical Institute, Amsterdam. After working for some years in a government hospital as well as a non-governmental organization (NGO) working in the field of community health, he joined the team that founded M.B.B.S. program at Kathmandu University Medical School (KUMS) where Problem Based Learning (PBL) and Community Based Learning (CBL) were adopted as the principal teaching learning strategies. There, he worked as a Lecturer of Community Medicine, shared the responsibility of coordinating the medical education unit, and also participated in PBL processes. He was also involved, from the very beginning, in an initiative that led to the establishment of the present PAHS, and his involvement continues in areas of curriculum development and PBL as well. He also has the brief experience of leading projects and training programs in areas of reproductive health and gender empowerment through an NGO (phect-NEPAL) under the support of the United Nations Population Fund, Nepal. He has also developed training manuals on reproductive health and gender for an EU/UNFPA/RHIYA Program implemented in 19 districts of Nepal. He has also provided his consultation to Plan International Nepal. Born and lived his childhood in a rural village, he is now living with his family (father, wife, and two children) in Kathmandu.